Delicious and Christmasy chia pudding! Topped with sweet almond butter, coconut cream and granola. Active time: 10 min. Ready in: 45 min. Makes: 4 portions. Combine all the ingredients for the chia pudding in a big bowl. Stir well from time to time during the first 10 minutes, until the seeds have start to absorb the liquid. Put the chia pudding in the fridge over night or for at least 30 minutes. Blend the almonds and the maple syrup in a food processor until it reaches a nut butter like texture. Top with your favorite toppings, I used coconut cream, raisins, and granola! Make your own plant milk flavored with chocolate, vanilla & strawberry! Plant milks are delicious, nutritious and super easy to make! The only thing you’ll need is a blender and a nut milk bag. Blend all the ingredients in a high speed blender. You can put the whole vanilla bean in. Blend all the ingredients in a high speed blender. (FYI: Hazelnuts do not have to be soaked because they don’t have enzyme inhibitors.) Blend until really smooth. Place the dry greens on an oven tray. Then dehydrate the kale chips on 140°F (60-70°C) for at least 8-9 hours. Be sure to keep the oven door open so that there is an even flow of air in the oven. You can use a butter knife or any other wooden kitchenware to keep the oven door slightly open. (If you use a dehydrator, you can put it on 42 degrees for 10 hours.) Make sure the chips are completely dry before removing them. Maca will support your body’s own production of numerous hormones, increasing or decreasing their levels according to your individual needs. 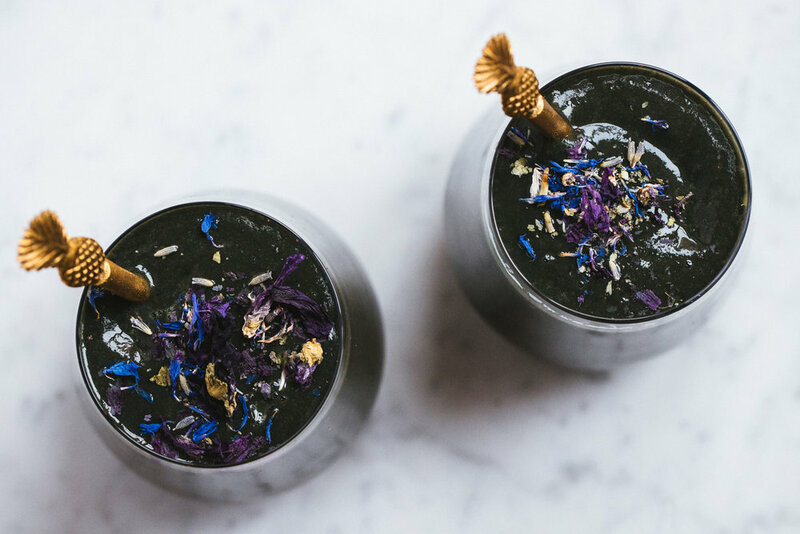 This magical smoothie is boosted with delicious raw cacao and the sweet-tasting South American adaptogenic root called Maca. Maca helps support the body’s own production of numerous hormones, increasing or decreasing their levels according to your individual needs. Adaptogens are natural substances like herbs and plant extract that increases the body's ability to resist the damaging effects of stress and promote or restore normal physiological functioning. Think of adaptogens like a thermostat. The keep your body’s stress response at a desirable level, much like the way a thermostat keeps the temperature from becoming too high or too low. They’re good for you all the time, not only when you have a high level of stress. I'm not really stressed, one might think. I'm sure you feel that way and it might be true for some people but most of us are kind of semi "stressed" all day long. Think about stress as what is commonly called your “fight or flight” response. Today, most of us don’t have to worry so much about lions or other obvious dangers like that. However, most modern-day stresses are ongoing. Like sitting at your comuter and working on a project with a deadline. When your adrenal system remains in a constant active state, it throws your body out of balance. Constant stress can create a lot of imbalances in your body, especially on your digestive system and energy levels. If you prefer it sweeter add a banana or another date. If you prefer it thinner add some almond or oat milk. This serving serves two small glasses or one big. Plain and simple, please do not use Ashwagandha during pregnancy. There is evidence that it could cause miscarriages. I don’t know enough about the effects of using this herb during breastfeeding. It may be unsafe. If you are trying to become pregnant or if you have had previous miscarriages in your life, Ashwagandha is not for you. It's natural and safe to use if you're not taking any medication. But with that being said. It's very powerful. The small adaptogen pantry. This choloate smoothie is a pretty basic smoothie that I drink quite often. I sometimes make it green with plenty of spinach and kale instead of raw cacao, but one thing that's always the same is my adaptogens. These are 4 of the adaptogens that I use on a daily basis. Some women get life-changing results from maca and others feel worse. 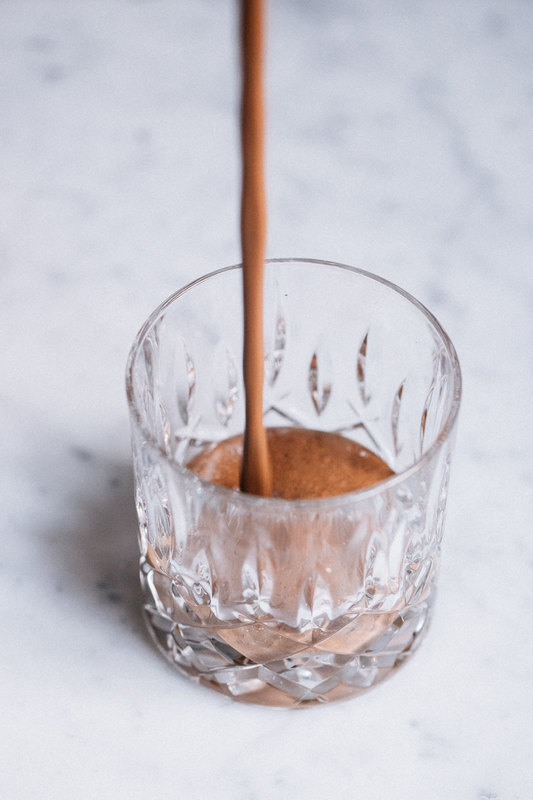 If you are thinking of trying it or have tried it in the past with mixed results, try different phenotypes (colors of maca) and change up the amounts, dose can make a big difference. Phenotypes, the different color types of maca contain some different active ingredients which trigger specific health benefits. Maca is a nutrient-rich root that is known to relief PMS, help with libido stimulation and balance Peri- and Menopause. Also known as the “mushroom of immortality,” reishi is a Chinese herbal mushroom that comes in six different types. The most potent variety, red reishi, is used for it's immune-boosting properties. Reishi mushroom benefits the liver and heart organs foremost. Reishi is able to down-regulate alpha-glucosidase, the enzyme responsible for breaking down starches into sugars. This magic mushroom has also shown to help with kidney problems and wound healing in diabetics. Ashwagandha is one of the most important herbs in Ayurveda (a form of alternative medicine based on Indian principles of natural healing). Many of it's health benefits are attributed to the high concentration of withanolides, which have been shown to fight inflammation and tumor growth. In a controlled study of chronically stressed adults, the group that supplemented with ashwagandha had significantly greater reductions in cortisol than the control group. The group taking the highest dose had a 30% reduction, on average. Cinnamon is known to have an anti-diabetic effect. It helps lower blood sugar levels and also can improve sensitivity to the hormone insulin, which is the vital hormone needed for keeping blood sugar levels balanced. I try to avoid too much fructose in my smoothies. As you can see in the recipe, the base of this smoothie is zucchini instead of the more common base of bananas. What I love about zucchini as a smoothie base is that it's completely natural in flavor but still creamy in texture. So it's perfect for those of you who doesn't really like that banana flavor that overshadows pretty much anything. I also try to add as much good fats to my smoothies as possible. Nut butters, seeds, full fat coconut milk and algae oils. I hope you'll enjoy this thick and creamy chocolate smoothie. If you're one of those people who doesn't like thick smoothies, be sure to add some water or plant milk to make it thinner. I try to always have some Fat-balls stored in the fridge and freezer because this is the best everyday snack you can ever imagine! Fat-balls!! Every one that follows Lee from America knows about them already. And if not, they're pretty much superyummy balls that are high in fat + protein and low in sugar. 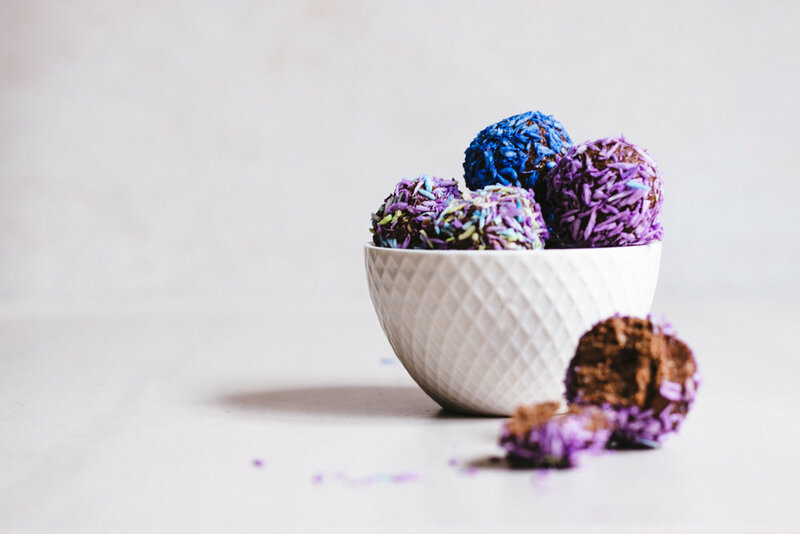 I love chocolate so I had to create a CHOCOLATE fat-ball recipe! I try to always have some Fat-balls stored in the fridge and freezer because this is the best everyday snack you can ever imagine! 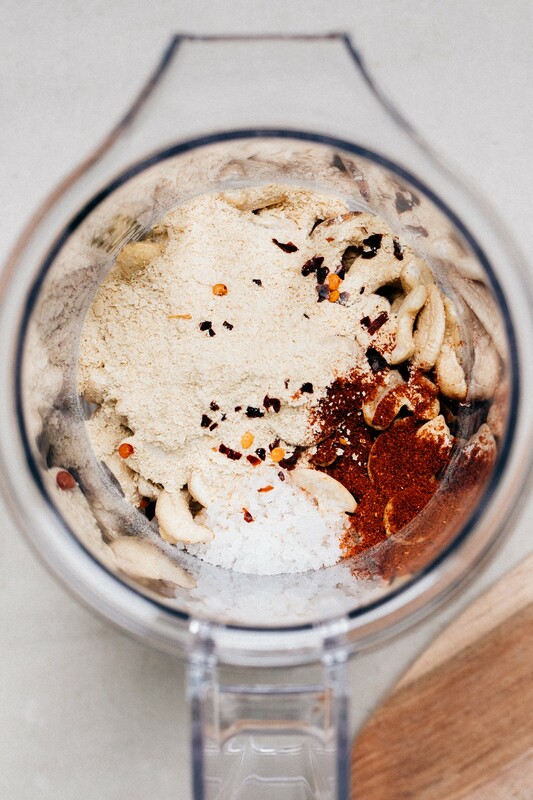 Start by combining all of the ingredients into a food processor. Process for 1 minute until a crumbly dough has formed. Next, add some extra coconut oil if needed. Process for an additional 1 minute until well processed. 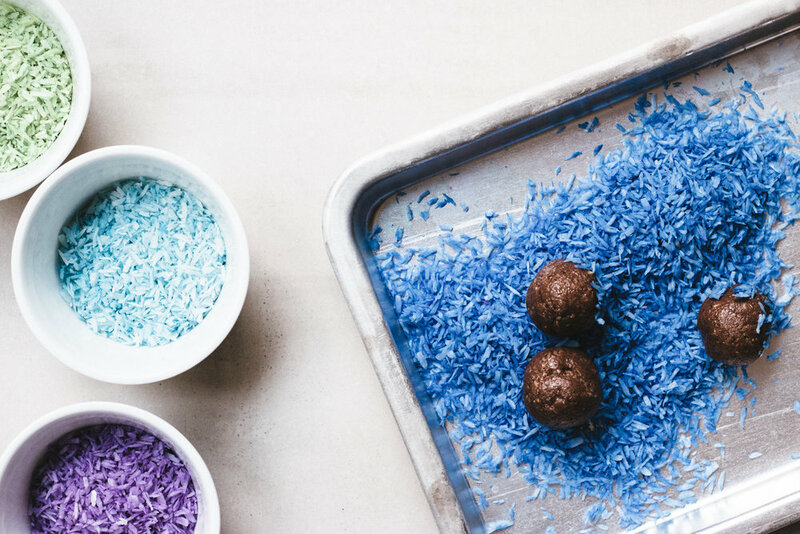 Roll mixture into balls. Roll in coconut to coat. Store in an air tight container for up to 3 months in your freezer. Or about 1 week in your fridge. Best enjoyed slightly thawed. This recipe makes about 10 balls and each ball is around 170 kcal. Each ball has around 4,5 g of protein. 15,5 g of fat and 2,5 g of fiber! :) There's also a very good and healthy amount of zinc, iron and magnesium in these balls!